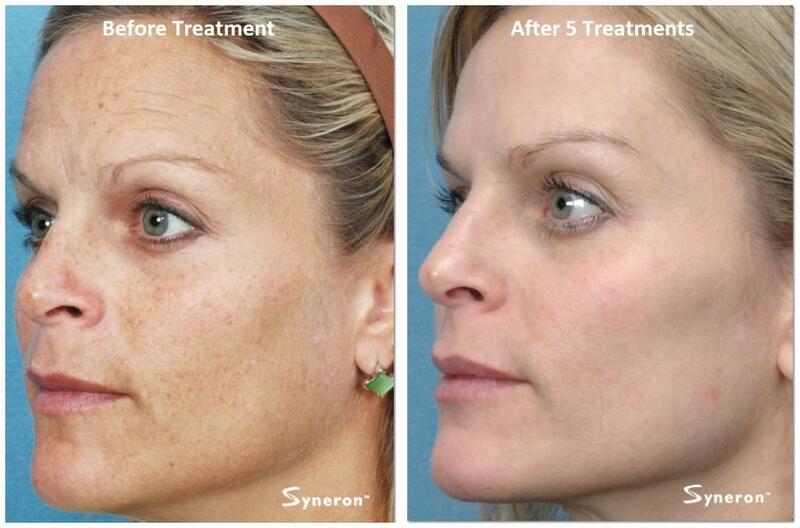 Restore youthful, healthy looking skin with IPL (Intense Pulsed Light) Skin Rejuvenation treatments! Safely and comfortably fade the appearance of Rosacea, spider veins, broken capillaries, acne scarring, birthmarks, skin imperfections caused by sun damage, age spots and uneven skin tones created by brown and red spots - with no downtime. Whether it’s something you’ve lived with your whole life or just something that has unfortunately come with age, we are here to help you get results! We’re proud to offer the Venus Versa, which uses advanced technology to deliver energy more efficiently with a cooled tip for enhanced client comfort to effectively restore and rejuvenate the appearance of your skin. IPL Skin Rejuvenation can be combined with Venus Legacy Skin Tightening and Venus Viva NanoFractional RF Skin Resurfacing for total facial renewal. Three treatments that will work together to improve skin tone, texture, and wrinkles so you can achieve a firmer, younger appearance. IPL Skin Rejuvenation is an effective color correction treatment for most skin types, and virtually any area of the body can be treated. Although the face is most common, great results have also been acheived on the neck, chest, arms and hands, and this treatment can also be used to lighten or rid the skin of a single dark spot or area and sometimes birthmarks too. 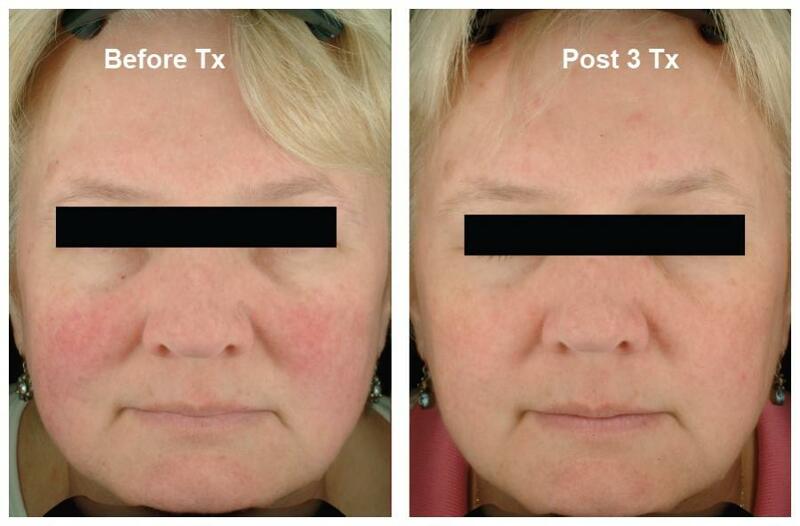 FotoFacial Skin Rejuvenation successfully treats sun damage, Rosacea, age spots, freckles, spider veins and minor scarring. 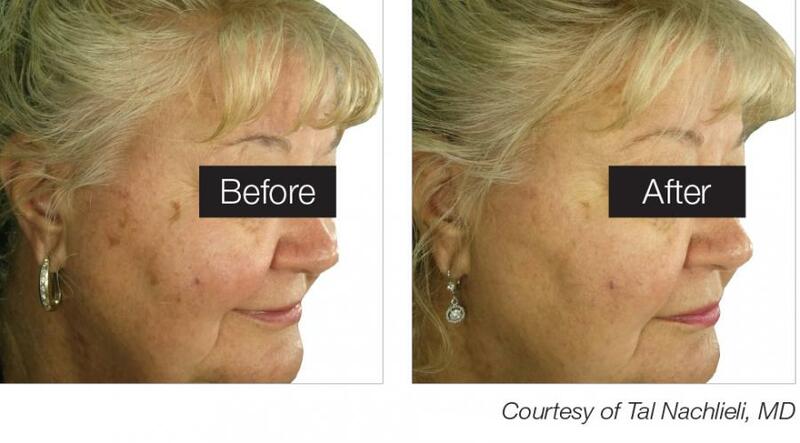 People are often uncomfortable with or self-conscious about uneven skin tone, visible veins, or dark marks, especially when they appear on the face... and with elos technology, dark lesions will be significantly lightened and often disappear completely! During a complimentary consultation, we will review your medical history, evaluate the skin, and discuss your aesthetic goals to ensure that the FotoFacial is the best treatment for you. Note: Men seeking IPL Skin Rejuvenation treatments should take into consideration that this procedure could result in some permanent hair loss to the treatment area. The technology used can potentially damage hair follicles, so treatment to certain areas where this is a concern should be avoided. 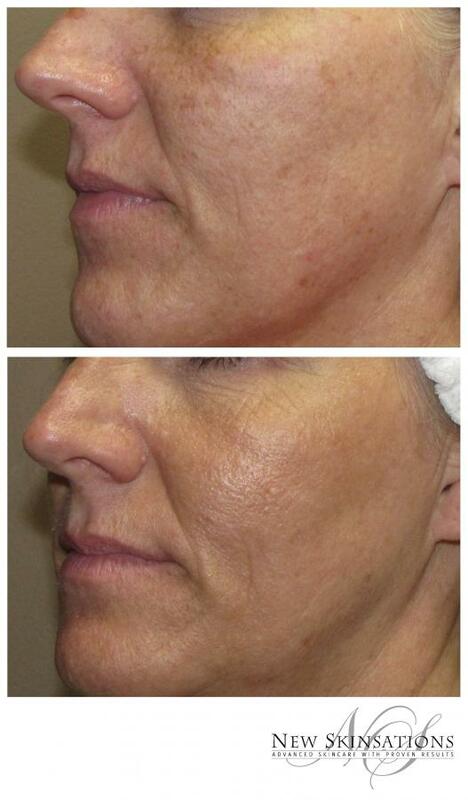 IPL Skin Rejuvenation treatments even out skin tone and improve skin texture. 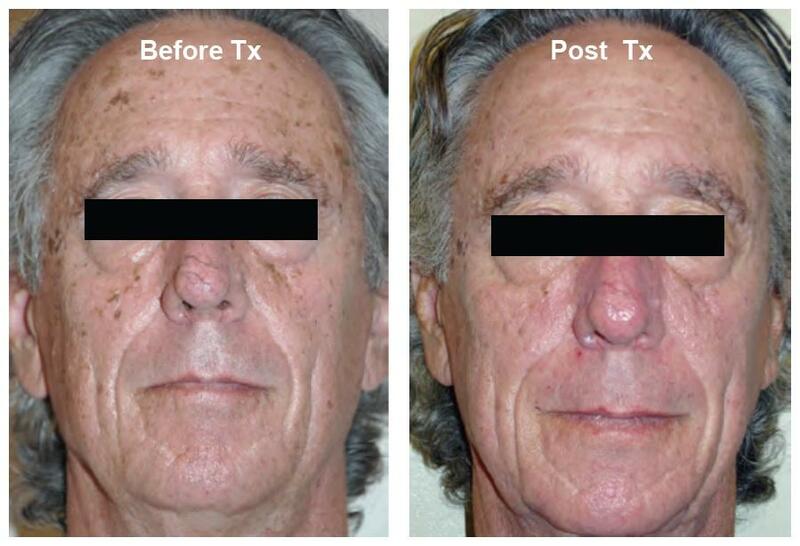 With this treatment you will see lightening of superficial pigmented lesions such as freckles, sun spots, age spots, and sun damage hyperpigmentation. 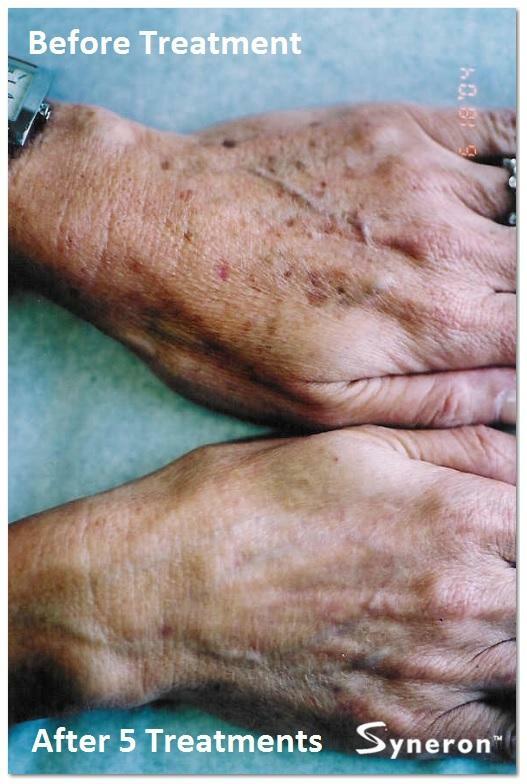 You will also see lightening of superficial vascular lesions such as telangiestasia (a condition characterized by dilation of the capillaries, which causes the capillaries to appear as small red or purple clusters, often spidery in appearance), flushed skin, and redness from Rosacea. Lastly, you will see smoothing of skin texture. The IPL Skin Rejuvenation also treats the breakdown of elastic tissue (elastosis), rough skin from sun damage, fine lines, enlarged pores and acne scarring. Because each person is unique in many ways, results will vary from person to person as well as the time it takes to see results. It will primarily depend on the initial condition of your skin. Many clients have noticed improvement after their first treatment; otherwise, 2 to 3 treatments should produce noticeable results. Take advantage of a complimentary consultation to see what you personally can expect from this treatment. The Venus Versa Intense Pulsed Light (IPL) procedure delivers a strong, precise infrared light to penetrate and pulsate through several layer of the skin. Targeted to the exact depth necessary to treat your specific area of concern, this advanced light technology restores and rejuvenates damaged skin cells on the molecular level. Contact is made with the skin and cooling begins. IPL is then safely transmitted through the skin, generating heat when absorbed selectively by the targeted tissue. Selective absorbtion of light causes the destruction of imperfections in the skin, without damaging the surrounding tissues. When light energy is delivered to the skin, the lesions will absorb the energy which is then converted to heat, raising the temperature of the targeted area to a point in which blood vessels collapse and melanin breaks down. Various skin conditions such as: age spots, freckles, brown spots and redness caused by broken capillaries or rosacea can be treated resulting in a more even skin tone and often the elimination of imperfection. This treatment also stimulates the production of new elastin fibers that allow the improvement to continue weeks after the treatment is complete. After treatment, vascular lesions are lightened and gradually fade and pigmented lesions that were already visible on the surface of the skin will darken and flake off gradually. There are faint or unseen lesions that lie deeper under the skin that will surface in time. Therefore, a series of treatments is necessary to bring all lesions to the surface of the skin so that they too can be brought to the skin's surface to darken and flake off gradually. Safe and effective. Advanced cooling increases treatment safety and effectiveness as compared to other alternatives. Targets both pigmented and vascular lesions. Not only corrects color, but also improves skin texture and promotes youthful appearance. During your treatment series, you should refrain from tanning. Avoid self tanners, and if sun exposure (natural or artificial) cannot be avoided, you should use a high factor broad spectrum sunscreen to protect the skin. If you already have tanned skin, it is recommended that you wait at least 2 weeks or until the tan fades before starting the treatment process, as tanned skin will make your treatments ineffective. You should discontinue use of any products that cause heat sensitivity, such as Retin A for at least one week prior to treatment. Avoid using fragrant lotions or perfumes on the treatment area the day of your treatment. Facial or body hair can make the treatment less effective as the hair can absorb some of the light energy that should instead be absorbed by the targeted tissue and pigmentation. If we are treating the face, we typically dermaplane right before the treatment to rid the face of soft vellus hair. However, for treatment areas on the body such as the arms, you may need to shave the day prior to your appointment if visible hair is present. 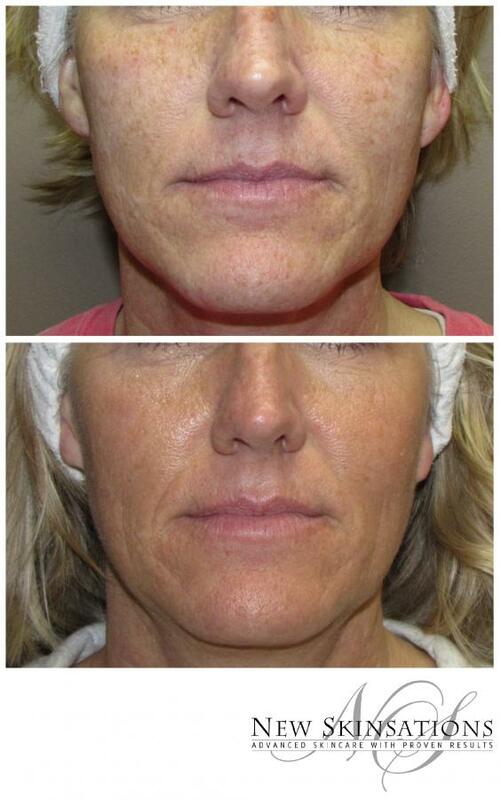 Although IPL Skin Rejuvenation is not a “feel-good” treatment, the results far outweigh any discomfort. First, the skin is cleaned. Then when you are ready to start, a gel is applied to the treatment area. You will be provided with proper eye protection to wear during the session. Then, one of our trained professionals will make adjustments and use the applicator to conduct several test spots to monitor the skin’s reaction to the pulse and ensure the settings are appropriate for comfort as well as effectiveness. You will feel light cool pressure from the applicator, as it must have full contact with the skin, and you may feel a slight “pinch” feeling when the light energy is delivered. 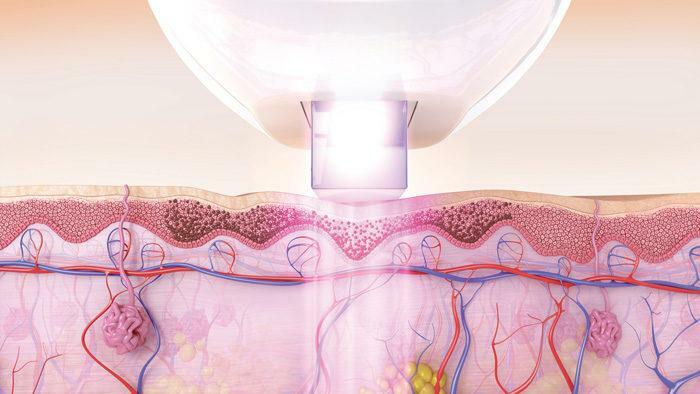 The energy delivered precisely targets pigmentation and vascular lesions. Each laser pulse lasts only fractions of a second, and the applicator has a built-in cooling system for increased comfort and effectiveness. After the settings have been established, the entire area is treated by pulsing the applicator as it is moved over the skin. Immediately after treatment, the skin may feel slightly warm on the surface, and additional cooling often relieves any lingering discomfort. You may experience slight redness and swelling over the treated area for a few minutes to several hours following a treatment; this is normal. Most vascular lesions disappear as a result of the treatment, and some of the visible pigmented lesions on the surface of the skin will darken and be almost black in color and then gradually flake off over the week or so following the treatment. This darkening of pigmented spots is referred to as "peppering" as it reselmbles black pepper. There is NO downtime with this treatment. You can wear makeup and return to your regular activities right after your appointment. Immediately following a treatment, the skin may feel somewhat warm on the surface. You may experience slight redness and swelling over the treated area for a few minutes to several hours following a treatment; this is normal. Additional cooling of the skin by use of a cold pack (not frozen) will ease any lingering discomfort, although the heat you are feeling is the body's natural response. Avoid any trauma to the treated area such as hot baths, massage, scratching, etc. for at least two days following a treatment. Softly pat area dry after cleansing. You should use a high factor broad spectrum sunscreen (at least SPF 30) for at least one month after the treatment, especially if sun exposure (natural or artificial) cannot be avoided. 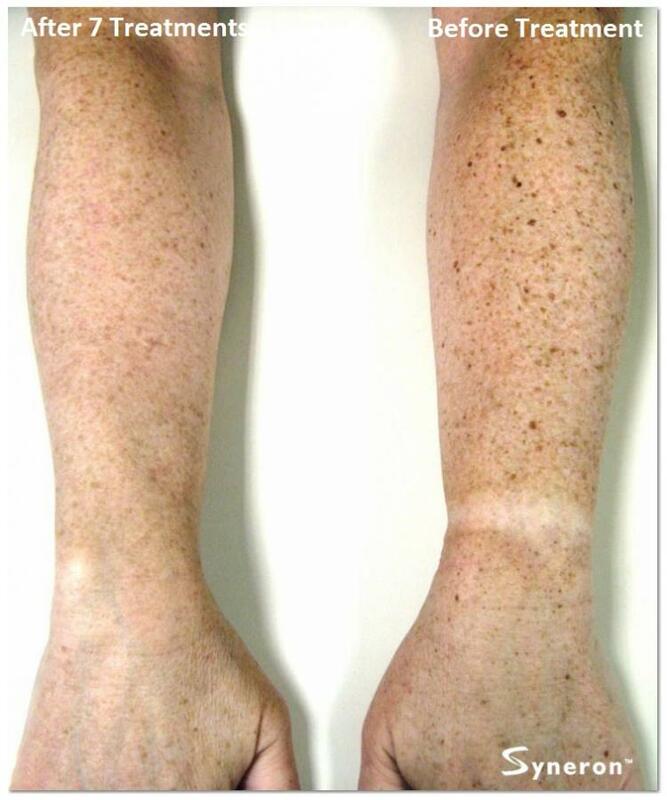 Continue to avoid sun exposure when you are in between treatments, as tanning may cause hyperpigmentation. Feel free to call our office if any questions or concerns arise post-treatment. Although uncommon, if you experience blistering following a treatment, you should let us know and we can drain any fluid properly for you. If any scabbing occurs, keep the skin soft with a gentle moisturizing cream, and let scabs shed off naturally - never rub, scratch, or pick them. The best thing you can do is take good care of your skin. The results from your treatments will last, however, if you do not care for your skin properly, for example, if you fail to use sunscreen to protect your skin from the sun’s harmful rays, you may continue to cause or allow damage to the skin. In addition to sun exposure, smoking can also contribute to skin damage. Do your very best to maintain a healthy lifestyle. Quality skin care products can offer protection and promote good skin health as well. Unfortunately, your skin will continue to age and new spots from previous damage may appear over time. After your initial series of 3 to 5 treatments, maintenance treatments can be done as needed. One treatment session may be needed every 3 to 6 months depending. The frequency will ultimately depend on how well you protect and care for your skin. The total number of treatment sessions needed will depend on your skin’s condition and the results you wish to achieve. 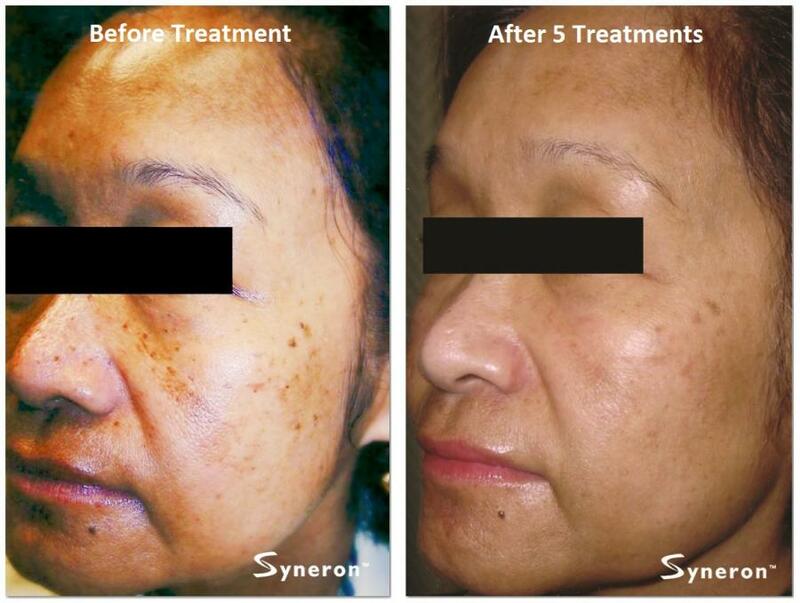 Gradual and cumulative improvement of skin tone is typically achieved in 3 to 5 treatment sessions. 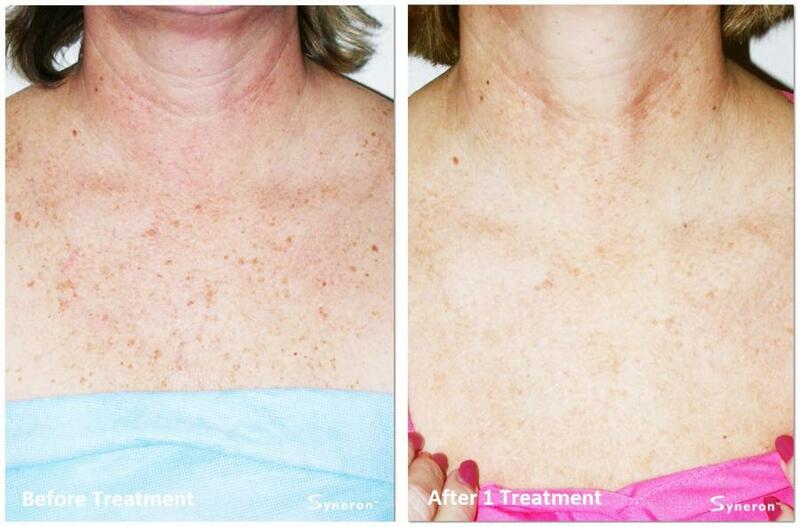 IPL Skin Rejuvenation treatments can be scheduled as soon as 4 weeks since your last treatment. Treatment time will depend on the area to be treated. Take advantage of a free consultation to establish your personalized treatment schedule. Treatment costs will vary depending on the area of the body to be treated. We will adjust the price accordingly depending on how large the treatment area is. Schedule a personalized free consultation with one of our skin care professionals free of charge to ask questions, walk through the process, and establish how much your treatment will cost. We do our very best to be competitive and make skin rejuvenation treatments affordable for our clients. Pay as you go or take advantage of our package pricing - prepay for your treatment series and receive a discount! IPL Skin Rejuvenation is absolutely safe! You will be provided with proper eye protection to wear during your treatment sessions. The glasses are specifically designed to prevent any damage to your eyes that may be caused by looking directly at the applicator's intense pulses of light. Also, the applicator has a built-in cooling system for increased comfort and safety. Our skin care professionals are highly skilled and professionally trained to use this equipment. 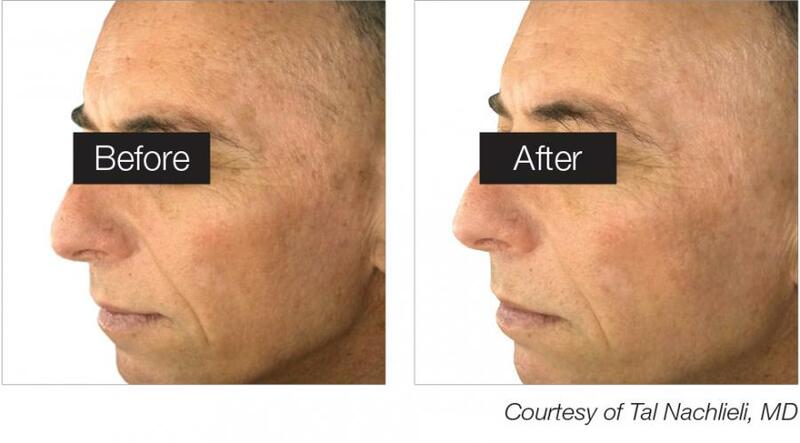 Our IPL Skin Rejuvenation applicator is FDA approved. Laser and light-based treatments have been safely used for many years for a variety of medical and cosmetic procedures.